Congratulations to this beautiful T&H Couple, Caroline & Colin! The pair were recently engaged with our stunning Old Mine Cut diamond cluster ring, Brush Hollow. 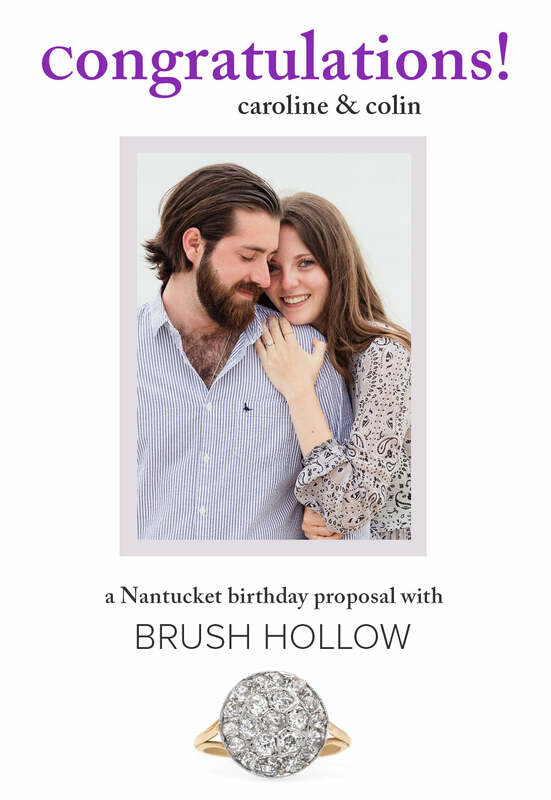 The two had visited Trumpet & Horn a few months earlier, and Caroline fell in love with the Brush Hollow ring. She noticed that it was sold a couple of days later, and tried not to be too bummed out, convincing herself that the ring just wasn't meant to be hers. Little did she know Colin had snagged it! 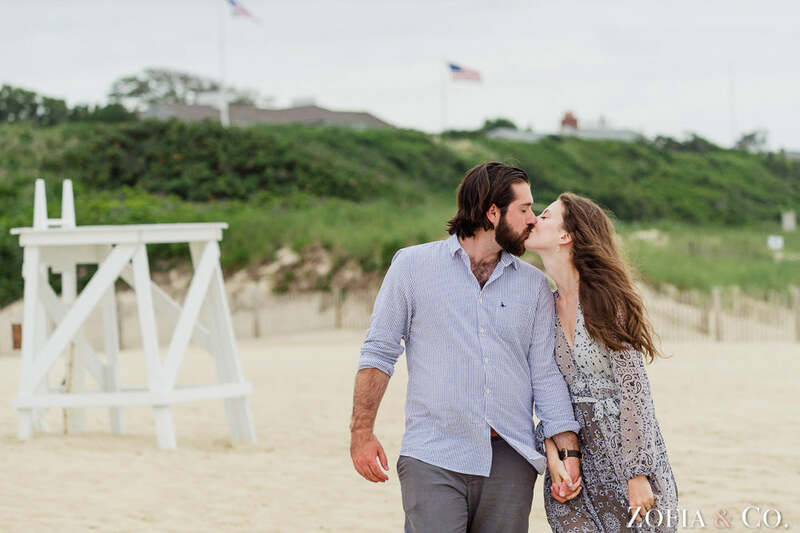 He had been working closely with Caroline's mom and sister to plan the perfect Nantucket proposal on Caroline's birthday. 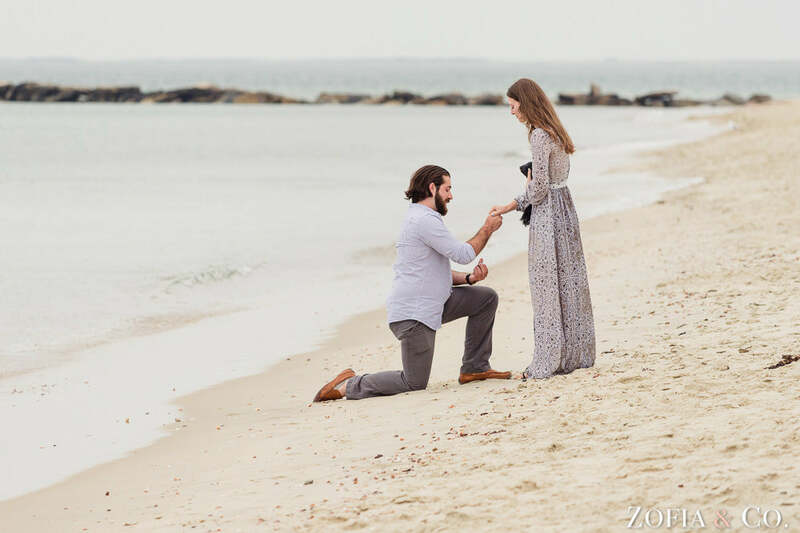 He knew he wanted to propose on her birthday so that they could celebrate with friends and family, but he hadn't quite hammered down where he was going to do it. 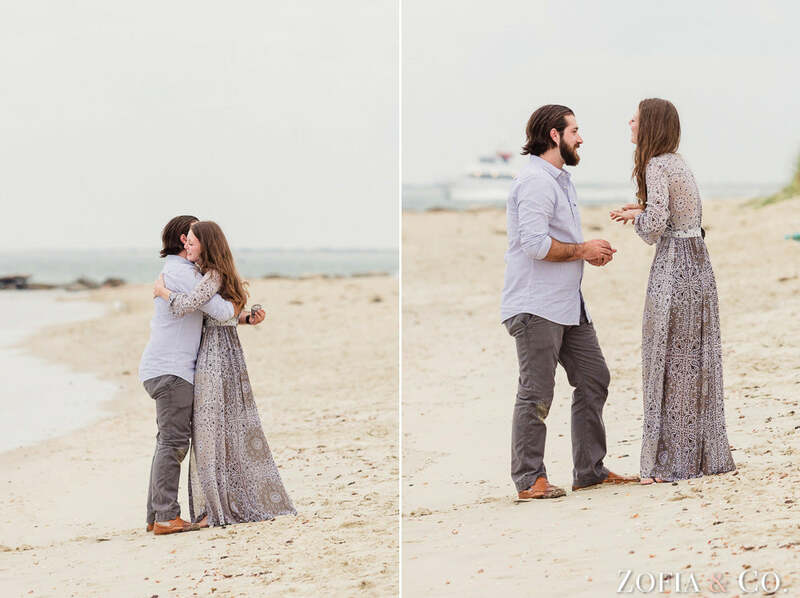 A few weeks before, Caroline suggested that they have a drink at a bar right on the beach before meeting her family for dinner, completely unaware that she just helped plan her own proposal! Colin knew it would be the perfect place to pop the big question! He worked with Caroline's mom to hire their family friend Mark of Zofia & Co. to capture the whole thing. After finishing a glass of Prosecco, Colin asked Caroline to go for a walk on the beach. After a minute or so of strolling, Colin told Caroline he had another present for her and got down on one knee and proposed. She was thrilled and so surprised! Overall, Colin says "...the whole thing went down perfectly. Caroline never expected it to happen so soon, we have priceless photos to last a lifetime, and now I'm engaged to the girl I have been in love with for almost all of my life. Caroline and I really couldn't be happier and we can't wait to get married!" ♥ We are so thrilled for you two and so in awe of the beautiful pictures — what a special momento from the best day EVER! Congrats!